In a word: brilliant! I'm still wiping tears of mirth and joy from my eyes. I loved the 'friendly ghost' stuff Martin says in the new episode. Loved it! Excellent stuff! Will now be running round the place going "DAK-A-DAK-A-DAK-A!" at anything that moves! I just had to say how much I have loved the two series before this and look forward to listening to this series as well! I love the sneaky peek at your notebook. So frightfully organised! This is wonderful (very much like the episode). Love the "Masterplan" pic. More please! Oh wait I see, Tom Goodman-Hill's actually in the finished thing! Sorry, only that read like a joke. Fascinated to see your manuscript. Thanks for sharing it. Awww, poor Martin :'( So funny, well done! Brilliant notes, very funny. Loved it. It was wonderful! I'm so thrilled you're back! But, as a Yank, I have to say that I personally do not know a single American who pronounces genuine as "jen-u-wine". Completely worth missing sleep for. Our compliments and congratulations, good sir! The notebook glimpse is fascinating. Please let us see it again someday? PS. I am, however, somewhat dubious about the drinking game you've constructed where we all take a drink whenever Caroline finds a lemon. I'm so grateful I'm able to listen to Cabin Pressure in Poland! I have to admit, I found it because of Mr Cumberbatch, but I fell in love with it because it's so BRILLIANT! ;) Thank you so much for creating this wonderful show. I love this sit com. I love your writing. I love this cast. I hope and pray you keep going with the series. Well done! Can't wait till next Friday! In your honour this evening we had Baked Alaska ice cream (contains white chocolate polar bears) with lemon sauce. SamWow: Not many sitcoms set on a ranch? That almost sounds like a challenge. PS. Are we sure Ambridge Extra doesn't count? I was alone at home laughing my head off at Martin's hilarious French accent. Oh, the poor man! (And oh, my linguistic ears...!) I'm sure the neighbours thought I had gone completely mad. Loved the peek into your notebook. Very inspiring! Loved the pic of the master plan. Awesome episode. I missed Cabin Pressure so much! You're brilliant! Oh and it was lovely to have a peek at your notebook with the masterplan!! Thanks for posting that notebook page. It was fascinating. Nice Hitchcock, by the way. Absolutely hilarious! I can hardly wait for more. Did you have to cut some bits out about Martin's salary (briefly mentioned in your notebook) or is that in another episode? I was at the recording and still remember the look on your face when Benedict asked to re-record the credits and then did the French accent! I cannot thank you enough for Cabin Pressure. It has brightened my dark days and pissed off annoying room-mates of mine, because I was laughing so hard. Especially Benedict's character is dear to me (just want to take him home and feed the poor lad three meals a day for the rest of his life). I do hope Benedict feels better now. Please do keep up the brilliant work! Screamingly funny episode. Your mental calisthenics are much appreciated when they bring such results. Lemons will henceforth be hilarious. Not that they weren't before, but you've added a layer of meaning. Also, apropos of nothing, your handwriting is lovely. Ooh, seeing the Qikiqtarjuaq (no I didn't have to look to see how to spell it) masterplan was fascinating. From it I recall a recorded couple of conversations that didn't make the broadcast version, which (the recollection, not the cut) makes me very happy. It would be wonderful to see the masterplans for the other episodes as they are broadcast ... please? I cannot WAIT for next week's episode! Brilliant episode! And poor Martin! (And poor Benedict Cumberbatch whose voice didn't sound so good in this episode). Speaking as an exchange student, I can't tell whether or not binge-listening to Cabin Pressure before a transatlantic flight is a good idea or a bad idea. Right now I'm banking on it being a good idea: it's absolutely hilarious! And Qikiqtarjuaq - I think I just won my next scrabble game. I loved this episode! Your writing is so smart and funny. And it is so fascinating to see your notes -- I didn't realize that you had the central motivation for each character so clearly in mind when you wrote, but of course you must, which is why the episodes hold together so well. Just dropping in to say how much I love this series. I regularly use it to put myself to sleep (don't look like that; I can only do it with things I already know back-to-front so I focus on them because I enjoy them and it shuts my brain up from thinking enough to let me drop off, but I don't have to focus so hard I keep myself awake because I already know what's coming) and no matter how many times I've heard any episode, there are still things which make me laugh out loud. I have Douglas's, "I think we're flying into a mountain," speech as my message tone on my phone for this reason. Anyway, as far as Qikiqtarjuag goes - brilliant! My eyes were streaming with laughter by the time we got to Douglas's dive bombing the bears and Martin's helpless screaming protests. And my heart broke for poor dear Martin and his ghost in the attic self. I love this episode esp. the French accent idea. This nearly killed me. Can't wait to hear next episode of "Miss Marple". Though the piece about Martin's poor life with baked potato as a treat (though I do love baked potato!) pronounced in that harsh voice was really tragic. But in a word - BRILLIANT! Thank you so much! When my daughter learns English a bit more, she'll be listening to it as a wonderful example of English! One would think that the full cup of happiness would be brimming over, in the mere event of learning to pronounce "Qikiqtarjuaq" during breakfast (Pacific Time), but it was followed, impossibly, by that long-anticipated moment (it seems tortuous ages ago since you first mentioned it) when Douglas Chases Bears. Could anything possibly top that for utter delight? If anything, it would have to be the glance behind the scenes (and into the very notebook!) that followed. Thanks immensely for the work you put into a thoroughly delightful, and very, very funny, show. Yay - iPlayer works in Australia!! This was the first time I have listened to this sitcom, and I am pleased to say that i enjoyed it very much. I loved it when Martin had to speak with the French accent and i also enjoyed the lemon game. Love what you're doing with Martin lately - your characters have just brilliant depth, and, and... Yes, I could ramble for years. Onwards! Please start writing more. I do not wish to die of withdrawal. Seriously I think Cabin Pressure has made me happier than anything else during a very stressful time. Thank you sir! Qikiqtarjuaq is a popular stop for pilots who fly smaller aircraft to and from Europe, such as the small charter airline, MJN Air. Since the airdot's recent flight from Toronto to Qikiqtarjuaq, there has been a sharp decline in the population of polar bears in the area. Many people, such as Beaten Track Expedition Supervisor, Nancy Dean Leibhart, and airline captain Martain du Creff, believe this could be due to MJN's First Officer Douglas Richardson's slightly over-zealous strafing of the polar bears, leading to serious casualties for bears Paddington, Winnie and Baloo. Qikiqtarjuaq is considerably closer to Sondre Stromfjord, Greenland than Iqaluit (CYFB). Instrument approach minima at CYVM is relatively high (2,000 feet barometric, 1,982 AGL) due to high terrain surrounding the airport. Brilliant, reminded me of many a terrible guided tour. There was a surprising degree of pathos in Martin's account of his penurious existence though - poor Martin, we should start a collection for him! All the way through kept thinking that this was happening at the same time as the Royal Wedding!Finally all was revealed about the Travelling Lemon, French accents and chasing those bears! Will have to listen again and again to hear the bits I missed through laughing too loudly. Also loved the way you sneaked in Cook and Peary in. Brilliant episode. Already listened to it 3 times on iplayer and still laugh out loud when Martin says 'allo in a French accent.His hoarse voice adds to the air of resignation at the situation Doulas has landed him in.Roll on next friday. Hilarious. Absolutely hilarious. Also - I have to say I love the way you work in character development without bogging down the tone of the episode. Can't wait to hear the rest. Well done! for this 26 minutes of laughing !!! you make me smile for the rest of the day !!! !I couldn't see a polar bear now without thinking of you !! Benedict's french accent ? ?.....as a French citizen ?? Mmmm... brilliant!? It is soooo the word!!! Thank you all so much for your comments and encouragement. It's really lovely to hear. Rather than individual answers, here are some general ones. To people who think I / Douglas was a bit hard on Martin this week: Mm, yes, I know. The truth is, I wrote (and we recorded) a second scene between Carolyn and Martin which significantly softened his story line, but we had to cut it in the edit, just because the episode was overlong. I won't tell you what it was, though there are cryptic allusions to it in the notebook picture, because I may revisit it in a future episode. As for Douglas - you have to remember he has a surprisingly thin skin. He did warn Martin to 'think very carefully how you want to finish that sentence'... but Martin ignored him, and so has to pay the price. They get on better in some of the other episodes. To people who say my notebook is freakishly neat: Yes, but that's because this diagram, the so-called 'masterplan' (ha! ), is the very last thing I do before finally beginning the dialogue (or at least, putting it together). You should see some of the 'idea-generating' or 'plot-fixing' pages. Not neat at all. Oh no. To the person who spotted the iron/bacon thing- well done, but shh. I'm definitely using that in another episode. Should've spoiler tagged it. To the person who spotted the Cook and Peary thing- well done. In the script, the lady to whom Arthur tells the bear fact at the end is Ms Amundsen. To all the people who said they enjoyed it - thank you so much! Hope you like the rest too! 2) Your journal notes. Dear sweet mother of Cthulhu, the way you organized everything -- and your handwriting is legible. To paraphrase a scene from THE 40-YEAR OLD VIRGIN, "Dude...TEACH me." You may enjoy this. A link to Arthur's website. My, wasn't the turn around quick! Forgive me for a little shop talk, please. In your notebook there's a section a lot of people might overlook: The red bits where everyone's desires/needs/goals are stated. I am thinking back over the past episodes and it strikes me that Martin, Caroline, and Douglas all kind of fight a holding pattern in life. Some days they win, sometimes they lose. I know you get asked a lot about Arthur's world view. (I'm thinking particularly about a discussion you had on the "Rum Doings" podcast.) Yes, Arthur is the Bear of Very Little Brain in many ways, or the Happy Pig more than the Unhappy Socrates. So now I think of these four characters in terms of their goals and needs, it occurs to me that Arthur more than anyone else probably has the best success at getting what he wants, needs, or desires out of life. Would you say that's your impression as well? Conjecture: Maybe the reason we still like Arthur so much is because his desires are free of being at the expense of others? Douglas, Martin, and Caroline are always playing zero-sum games. Caroline has explicitly stated on occasion that nothing makes her life more enjoyable than seeing Douglas in a pickle of his own making. Arthur wouldn't even understand the idea of winning at the expense of others. His perfect end-game is where everybody wins. I keep coming back to the idea that there's a lot of "Tao of Pooh" in Arthur's world view. Whether that's true or not, the real world could do with a lot more Arthurs in it. I'm so smitten by your wonderful brain. Take a good care of it, please. Thank you thank you thank you!!! And yes, a brilliant fit for Canada Day (much more fun than braving the crowds here in downtown Ottawa). Any time the crew needs someone to translate Martin's outraaageous French accent let me know!! John ... you are a genius!! Ross- Good point. Yes, I think Arthur certainly is the most consistently successful, because his aims are generally so modest. Often, all I put for him is something like 'Arthur wants to enjoy the flight' or 'Arthur wants to help Martin'. However, it does mean that when, once in a while, when I give him a very strong, though often simple aim, it can be quite powerful: I'm thinking of 'Arthur wants Carolyn to have a cake' in Helsinki, or, even more so, an episode in this series that has yet to broadcast. You'll know it when you hear it. Meanwhile, Martin's motivation works best when it's complex, or when he has two pulling in opposite directions. They also tend to be quite large and abstract: as here, to prove he's a professional; or in Douz, to prove he's in control. Douglas, in contrast, works best when he wants something very specific and concrete - a nice hotel room, a bottle of wine. Carolyn's is often the one Nancy has in this episode, which is why it was nice to give it to a guest character for once and let Carolyn mess around a bit. See also Johannesburg. I love reading and hearing you analyze your writing, Mr. Finnemore. I had been telling my friends to listen to Cabin Pressure because is not only hilariously funny, but also very well crafted. I've gone on and on about Johannesburg and Limerick in particular, and the overall trajectory of the show. Anyway, I was starting to wonder if I wasn't seeing stuff that wasn't there (like a good little English major), and then your recent posts have convinced me that it's really there because you put it there. There are a few times throughout the series when Douglas says something pompous but incorrect (Callista coming from Latin, for example), and now I'm wondering if what I immediately assumed was a mistake is actually characterization? That might be going a bit overboard, but I'm really really curious now. Anyway, thank you so much for taking the time to post about your writing process. I can't wait for NEXT Friday. I totally agree! I'm also very curious why you didn't base it on a real 16 seater twin-jet, disappointed all the pilots within the audience! No no...I have to disagree. The Loughead MacDonal 312 was the PERFECT choice for a hundred reasons. This episode was such a perfest start, I loved it! Heard it a dozen times now, its hilarious. The Hitchcock thing, Douglas' flying over the polar bears...and the french accent...I laughed so hard! It's just great and inspiring what you're doing. Really nice to see your notes, so well organized! Can't wait for the next episode (tomorrow, yes!) and all the more to come (plenty, hopefully)! And there was me thinking it had something to do with "Lockheed MARTIN" and "McDonnell DOUGLAS"
A very brilliant episode !! Too bad I have to wait for a long long time before listening your wonderful radio programm (so sorry I'm late). Keep having brilliant ideas ! John Finnemore, you are BRILLIANT! I laughed so hard during the 'bear polar' sequence I had tears springing from my eyes. I am aware that this is a very late comment, but I need to make my point known. I am here to complain about the terrible effects your work can have on people. I- inspired by your so-called innocent idea- brought a lemon with me to class, and after playing a seven-rally match, left it on my desk. 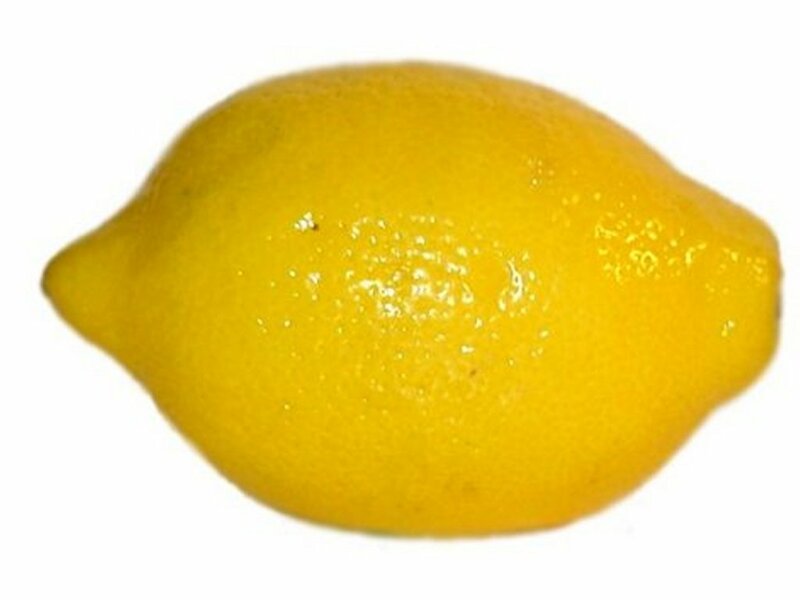 You are responsible for what is now dubbed as a lemon-fight in which one person got hit in the face, and a close friend of mine getting a permanent record slip for misbehavior on the grounds of- I quote word for word- "Throwing a lemon in class. Extremely dangerous." You should be ashamed of yourself and the terrible consequences of your ideas. Seriously, Mr. Finnemore, you're a massive inspiration. Please keep writing such amazing things and inspiring similar...antics with your genius! I was admiring a beautiful white cat, cute and fluffy and stunningly white. I made the mistake of expressing my wish to have a cat like it. My little boy said: "Mom this cat lives in cold places, she will suffer in Greece..." at my "what????" he clarified for his stupid mom "It's obvious! It is white, it is a polar cat..."
This comment is a lot late as I am a new fan of your show. The clip of Martin speaking in that awful French was my very first taste of CP and I busted a lung keeping the laughter in. ( I was actually in one of the many Benedict fansites and they posted the clip) I was in the library unwinding from doing a research when CP happened upon me. After that I downloaded everything and now Im onto my 5th episode of the second season. I'm now used to getting glares and suspicious looks from people when CP is on full blast in my earphones as I walk down the streets or in some mode of public transportation. I think I pee a little giggling everytime Douglas opens his mouth, the guy always gets the best lines!! Brit humor I conclude is not so bad haha. I'm pacing myself of listening to minimize the feeling of dying while waiting for season 4 to come out next year. By the way I'm from the South Eastern part of the world-- just to let you know how far your show's popularity has reached. trust me to spread the love! I bow before the greatness that is you and the rest of your crew. While my love for Benedict knows no bound, I have fallen in love with your show and the rest of you. Please keep the punchlines coming!! up here "'Ours Blanc'. Or 'Ours Polaire'". And I do have a couple of questions for you if you tend not to mind. This is a really neatly written article. I will be sure to bookmark it and return to learn extra of your useful info. I finished watching the series and only then found your blog while looking to see if there would be anything following Yverdon-les-Baines. Now I'm rewatching seasons 3 and 4 to read the blog posts after them! I just want to say I would pay good money for that notebook you've posted above. You should publish it as a Writer's Commentary book- or at least auction it for charity! Mr. Finnemore, you are doing excellent job! I always knew there was a reason I was suspicious of Polar Bears. . . .